ESPN Films (formerly known as ESPN Original Entertainment) is a production company which produces and distributes sports films and documentaries. It is owned by ESPN Inc., a joint venture between the Disney–ABC Television Group division of The Walt Disney Company (which owns a controlling 80% stake) and the Hearst Corporation (which owns the remaining 20%). Created in March 2008, ESPN Films produces high-quality films showcasing compelling sports-related stories. Projects from the subsidiary include 30 for 30 (and its offshoots 30 for 30: Soccer Stories and the digital series 30 for 30 Shorts), the critically acclaimed Nine for IX series and SEC Storied. ESPN Films traces its history to 2001, when ESPN Inc. formed ESPN Original Entertainment, a programming division which produced various talk shows, series, documentaries and made-for-TV films that aired on ESPN and its related networks. The subsidiary ceased operations for several months starting in 2007. The company's logo did not appear as a vanity card on any ESPN programs, with the exception of the daily talk show Jim Rome is Burning. In early March 2008, ESPN announced that it would relaunch the unit as ESPN Films. Under the restructuring, ESPN Films began producing projects for theatrical release in addition to television; majority corporate parent The Walt Disney Company holds the right of first refusal on all projects. In addition, ESPN announced a new alliance with the Creative Artists Agency, which among its various clients, represents athletes such as LeBron James, David Beckham and Peyton Manning. The first production under the ESPN Films banner was Black Magic, a four-hour documentary that premiered on ESPN without commercial interruption over two consecutive nights starting on March 16, 2008. The film, which won a Peabody Award in 2009, about the history of basketball played at Historically Black Colleges and Universities. The company's first theatrical film was X Games 3D: The Movie, which was released on August 21, 2009. On October 6, 2009, ESPN premiered 30 for 30, a 30-hour series produced by ESPN Films that debuted in commemoration of the 30th anniversary of the cable network's launch. Among those participating in the project included Spike Lee, Richard Linklater, Barry Levinson and Mike Tollin. The series, which earned Peabody and Producer's Guild Awards and was nominated for an Emmy, featured thoughtful and innovative reflections on the previous three decades in sports told through a diverse array of sports fans and social commentators. Positive reaction from both critics and viewers led to a spin-off 30 for 30: Volume II. ↑ "ESPN Films' Upcoming "The Price of Gold" Focuses on Tonya Harding, Nancy Kerrigan, and the Whack Heard Around the World 20 Years Ago". ESPN MediaZone. December 2013. ↑ "68th Annual Peabody Awards: Award Profile: Black Magic". 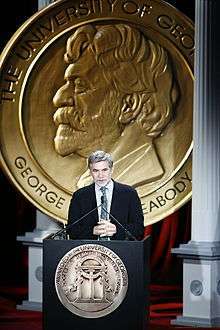 Peabody Awards. May 2009. ↑ Fleming, Jr., Mike (January 9, 2015). "David Oyelowo & Lupita Nyong'o In Talks To Star In 'Queen Of Katwe' For Disney". Deadline. Retrieved April 27, 2015.